Let me start with thanking AM for helping us all out in our journey towards a clearer skin. I wish to achieve that one day so I don’t have to wear any make-up while going out. 7. Eye makeup: Eye liner, Kajal, eye shadow, and Mascara (any popular brand) – Thank God, we don’t have to run to Skingredients before buying these! All the products that I use have no highly comedogenic ingredient as per Skingredients analysis. Some of them have mildly comedogenic ingredients that don’t cause any breakouts for me. During the day I apply sunscreen all over the face and neck and during the night, I apply a few drops of primer. Once this sets, I apply another teeny drop of primer on the areas where I have pitted scars. This really helps in filling them up. Primer really holds the powder foundations well and keeps them stay longer on your skin. 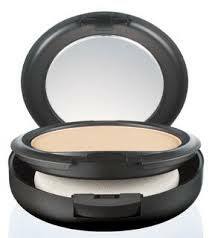 Primer is essential if you want longer lasting and complete coverage with a powder product. During the day, I apply primer after the sunscreen. I use a concealer brush to dab concealer only on the prominent/dark scars. The mild ones will get covered with the foundation. If I have any active pimple, I also put concealer at the place where it casts a shadow right below. This really helps in diminishing its appearance. I also apply some concealer under the eyes and the eye lids if needed. Applying concealer with a brush is easier and it blends better. You can place the concealer in your pitted scars with the brush – which is difficult to do with your fingers. If you see any edges then dab and blend with your fingers. Do ensure that the concealer you buy is an exact match otherwise your acne will shine out from under your makeup. I use a small fluffy powder brush to either apply MAC Studio Fix Powder Plus Foundation or Bare Escentuals Matte Foundation. I use MAC for light/medium coverage and BE for complete coverage and longer staying power. I swirl the brush in the product and put it on my face in small circular motions (you can see various mineral powder makeup tutorials on Youtube to get this right). If I notice any scar peeking out, I just dab a little bit of powder on it with my fingers. I apply just a hint of blush on my cheeks – otherwise the face looks really flat. I have one darker shade of my BE foundation powder too which I had bought when I was tanned after vacationing (so got a wrong color match). Anyways I use this as a bronzer occasionally for minor contouring / blush. Once I am done, I just swirl the empty brush all over my face to blend everything. Mineral Veil by Bare Escentuals is a nice product to set the makeup and mattify the face. It is a translucent powder which can be used for touch-ups too. For touch-ups on the move MAC is great and easier to carry. Then I do my usual eye and lip makeup which is only kajal/liner and tinted lip gloss. For parties, I would do some more. The most important part is to remove your make-up completely once you come back. 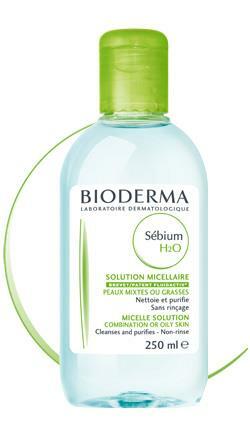 None of the make-up that I usually use is waterproof so it comes off easily with Bioderma H2O. Sometimes when I apply water-proof eye-liner or long-stay lipstick that does not get removed by Bioderma, then I use Lakme make-up remover (purchased during pre-acne-mantra-days), only for those parts. 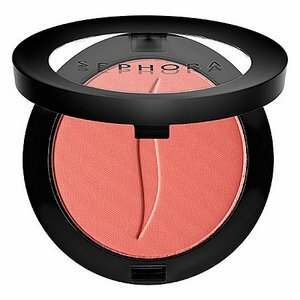 All the products used are very light and don’t feel heavy on the skin. They let the skin breathe and don’t settle in the pores. I am a fan of powder-based makeup as my skin is oily and powders keep it shine-free for relatively longer amount of time. MAC and Bare Escentuals are great powder product brands. I have noticed that BE foundation has great staying power and does not come off easily even after sweating and washing the face with water, unless you use make-up remover. Another precaution that you need to take while applying powder foundations is to cover your clothes with a towel while applying so that it doesn’t fall on your party wear dresses. Also, powder foundations have a tendency to rub-off so wear your fancy clothes before you apply make-up and no French-style cheek-to-cheek greetings in the parties as well! If this post has inspired you to share your own tips, success story or experiences with products on acne prone skin, read about publishing on Acne Mantra.